1. What are dermal fillers made of? Dermal fillers contain hyaluronic acid, a safe gel-like substance made of a non-animal-based natural sugar compound (glycosaminoglycan). This substance is found naturally in our bodies but depletes as we age. Hyaluronic acid is also a common ingredient in skincare products due to its hydrating ability. We no longer use collagen, silicon or ‘permanent fillers’ as dermal fillers. 2. Can I have fillers if I’m pregnant? It is not recommended that you have fillers if you are pregnant. Currently, there have been no clinical trials on pregnant or breastfeeding women receiving dermal fillers, and until such studies are done, we cannot rule out any potential problems. It’s likely there would be no problems regarding reaction as the injected substance occurs naturally in the body. However, pregnant women are predisposed to swelling and metabolic changes, both of which could impact negatively. 3. Where is the dermal filler injection implemented? Dr Feldman performs all injections in her offices in either East Perth, South Yarra or Sydney. After the procedure, you are safe to go back to work or drive home. Most people find the fillers relatively painless. The filler liquid includes local anaesthetic, so soon after the first injection, the area becomes numb, and subsequent injections are less painful. If you know you’re very sensitive, you may take codeine or paracetamol before the injection you numb the area. Dermal filler injections are very quick – the injections will be over within minutes. Most appointments take approximately 30 minutes, as you’ll need to spend time discussing your objectives – and realistic outcomes – with Joni. 6. I only want a tiny bit. Can I start with .5 mil? If you only have the tiniest amount, it’s highly likely that you won’t see any result and will be back in a couple of weeks asking for more! Instead, try to trust Joni’s advice and the dosage she recommends. Generally speaking, as a minimum, .5 ml is used. Bear in mind, any excess can be discreetly used in other areas of the face. 7. How soon will I see the results? You’ll see the results of your treatment immediately afterwards. However, there may be minor swelling and redness for the following 20 minutes, followed by a lesser amount for the next few days, before the full effect is revealed. 8. 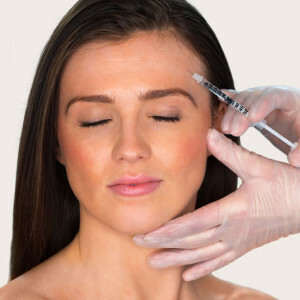 Can I go out in public after my dermal filler injection? Yes, you can go out in public after your dermal filler injection. Your complexion will be instantly smoother and more wrinkle-free than before. However, you may be slightly red and puffy around the injected area for a short while. Light concealer or foundation is usually enough to disguise this minor irritation. If you plan to have fillers before an important event or photo shoot, allow a good few days or a week for all swelling to subside. 9. How long will my dermal fillers last? Dermal fillers can last anywhere between 6 to 18 months, depending on the type of filler used, and the area it is placed. For example, we find that fillers tend to last up to about two years under the eye area, while other areas, such as around the mouth, dissipate more quickly. The lifetime of the fillers is also dependent on other factors, such as age, lifestyle, structure of the skin, desired outcome and professional skills of the practitioner. Joni recommends follow-up appointments for touch-up treatments as these add to the longevity of your results. Most people decide to have a new filler injection within a year of the first injection. 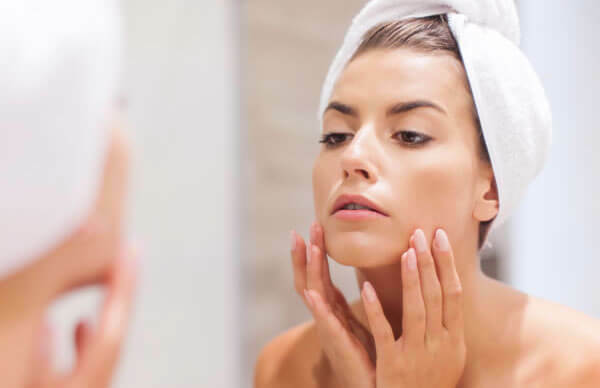 For those addressing wrinkles and skinfolds, she recommends six-monthly follow-up treatments (which usually require less filler than the initial treatment). 10. What will I look like if I stop having dermal fillers? After your procedure, the results will slowly fade away. The 100% natural liquid will gently resorb into your body without any side effects. Your face will take on the appearance it had before your injections. Therefore, you will need ongoing injections if you would like to maintain the correction. 11. How much filler is in a syringe? Typically, syringes carry approximately 1ml of filler. This may be enough for fine lines or areas around the mouth, while jawline sculpting, cheekbone enhancement and chin enhancement may initially require 2-3 mls. 12. Are there any risks with injecting dermal fillers? Risks are minimal with dermal fillers; however, all medical procedures carry risk. The most serious risk involves injecting into a blood vessel such as a vein or artery, which can stop the blood flowing through the area, resulting in skin death through a lack of blood supply. There have been rare reported cases of blindness due to dermal fillers inappropriately placed in the arteries that supply the eye. This is yet another reason why it’s essential you choose an experienced, educated professional for your treatments. If you’re predisposed to cold sores, you may have a breakout shortly after the injection (if injected near the lip area). Occasionally, a granuloma may appear, which is a small nodule formed due to a delayed inflammatory reaction to the dermal filler. Granulomas can be treated with either antibiotics, steroids or occasionally by removing the product. 13. How can I detect counterfeit products? The cost of your dermal filler product is usually the giveaway when trying to distinguish counterfeit products. Put simply, you get what you pay for. If your product is alarmingly cheap, it’s likely to be an imitation and may be extremely dangerous. If you feel unsure, ask for the name of the filler and look up the product online at the Australian Register of Therapeutic Goods website. 14. Who should I choose to perform cosmetic injectables on me? In Australia, only doctors and nurses are allowed to perform cosmetic injections. Unfortunately, there is no regulation on ‘cosmetic injectables’ training. Therefore, we recommend you choose a doctor experienced in injectables, rather than a clinic where treatments are delegated to various nurses or a rotating door of casual staff members. Choose Joni for your injectables, and you can be assured that she will always be your practitioner, as she does not hire any nurses or relief staff. Joni has a wealth of experience, having administered over 10,000 injections since starting her double Bay clinic in 1991. Dr Joni Feldman M.B.B.S (MELB), F.F.M.A.C.C.S, DIP.LIPOPLASTY is a highly qualified cosmetic surgeon. A graduate of the University of Melbourne in 1987, she is a Fellow of Australasian College of Cosmetic Surgery, and Founding Member of Cosmetic Physicians Society of Australasia. 15. What areas can be treated with dermal fillers? Dermal fillers can be used around the eyes, temples, cheekbones, nasolabial folds, chin, jawbone, nose and other facial areas. Joni also recommends that you keep an open mind during a consultation, as she may suggest treating areas that you may not have considered to enhance your desired result or make it appear more natural-looking. 16. Can the procedure be reversed if I’m not happy with the results? Yes, you can have your filler procedure reversed if you’re not happy with the results. Fortunately, patients are rarely unhappy as Joni discusses the procedure thoroughly beforehand, which helps to eliminate any surprises. However, if you would like to reverse your procedure, she can inject the area with a dissolving enzyme called hyaluronidase. This enzyme breaks down the filler and removes it. 17. Will I bruise after my injections? Bruising is a common side effect of dermal fillers; however, Joni’s patients rarely bruise due to her expertise. Typically, any bruising is the result of the needlepoint and not the hyaluronic acid and usually resolves on its own accord within a couple of days. 18. Can I have dermal fillers in conjunction with other cosmetic procedures? You may have dermal fillers in conjunction with treatments such as wrinkle relaxers or thread lifts. However, if you’ve had skin treatments such as chemical peels, IPL, laser or skin needling, wait for two to four weeks before your dermal filler appointment. Discuss your procedures with Joni, and she will suggest the most appropriate treatment schedule.